They live in a home that is too small, or the layout or functionality of the house doesn’t work anymore. Often they’ve bought the perfect starter home. But as the family grew they needed more space, or to use the space in a different way. They have considered moving, but have not been able to find a suitable home. They love their neighbourhood, and would prefer not to move. They have considered working with an architect on design, but prefer to work with a single firm, which will be responsible for both design and construction. For the past 15 years, homeowners have called us for solutions, and to design and build their renovation, house addition or custom home. Along the way, we've built a team which includes an in-house designer, project managers, and carpenters. We've been nominated for several awards, and have won two best renovation awards. We service the Greater Toronto Area points to the north-west. From concept to completion, we partner with residential clients to fulfill all aspects of renovation and new construction projects. This includes the design process, obtaining zoning variances and building permits, as well as construction. We help homeowners fall in love with their homes again. We specialize in complete residential renovations, house additions and custom homes that are tailored to meet the individual needs of our homeowners. This includes kitchen, bathroom and basement renovations, custom home construction and more. By partnering with us, our customers receive a comprehensive two-year labour and material warranty, plus our ongoing commitment towards unmatched service, maintenance and support. Inspire Homes is also insured with WSIB and carries a comprehensive $2 million liability insurance. Choosing the right builder is an important factor in the success of your custom home, house addition or renovation project. You should select a firm that is experienced in the type of work you are looking for and they should carry the appropriate licenses, insurances and memberships to do the job well. Inspire Homes is a two time winner of the BILD Renovation & Custom Building Award. Read more here. Contact us to learn more about our skills and qualifications, or to see how we can help you inspire a love for your home again. 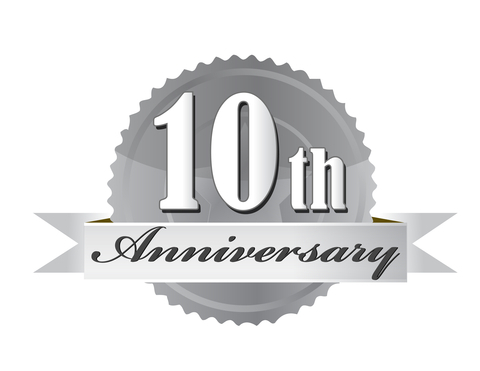 In 2014, we celebrated our 10 year anniversary. Read about how we got started, and our first 10 years in business.